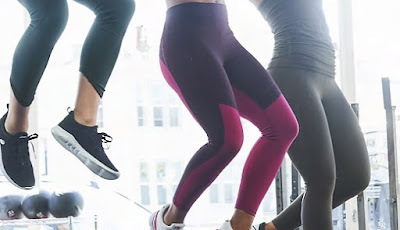 I know the "stuff I like" entries are not supposed to be about clothes (I specifically started it to talk about things that AREN'T CLOTHES THINGS) but I have to make an exception because my favorite Athleta leggings just got marked down MORE and I do not understand it. These are the best workout leggings I've ever owned and last week when I had time off for the holiday I wore them to yoga and then just kept wearing them for the rest of the day. They're amazing. I love the color blocking, the high waist that does not slip down, and the thick fabric that is definitely not see-through *cough*Lululemon*cough*. Just BUY THEM. SO GOOD. Tana French is one of my favorite writers but I definitely prefer her first couple of books. The more recent ones got kind of weird and uncomfortable but that's also her genius - she's really good at writing characters you don't really like but still get invested in. 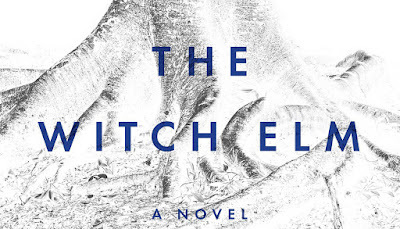 Her latest novel, The Witch Elm, is a departure from her Dublin Murder Squad series but is no less creepy and atmospheric. It's nowhere near the magic of In The Woods (which you should read if you haven't yet) but still a good read with an interesting twist. I Really Like Time Travel, Okay? 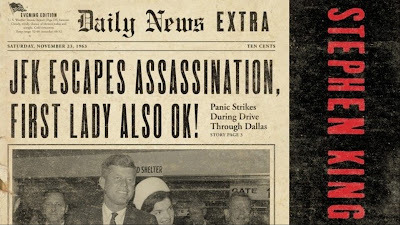 This is old old old news but I recently started watching 11/22/63 on Hulu and, despite how much people love to take a really good Stephen King novel and ruin it up with a movie or TV show, this one is, so far, very good. The book was excellent (if overly long in that typical I-don't-need-an-editor style of SK) and I do recommend it as well but the Hulu mini-series is so good! It has everything - time travel, 1960s style, Stephen King weirdness, and historical conspiracy theory action. I love it. Also, I know James Franco is basically the worst but I still don't mind watching him. Blame it on Freaks and Geeks. Bought the leggings - timely because the dog just ate a pair of mine this week. Halfway through the Witch Elm and wasn't loving it, but based on this recommendation will dive back in! Keep going! It's slow going but the twist/ending is really interesting.